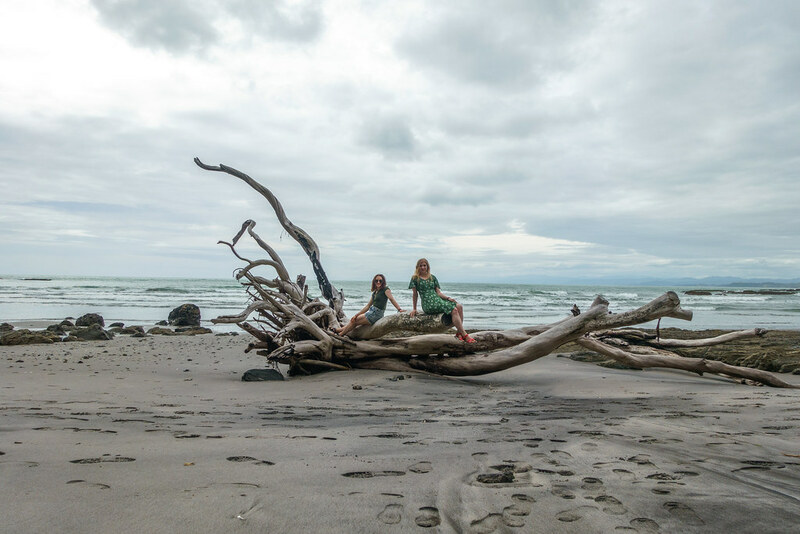 This is the eighth of a series of posts detailing mine and my sister’s trip to New Zealand’s North Island. View all the posts so far here. 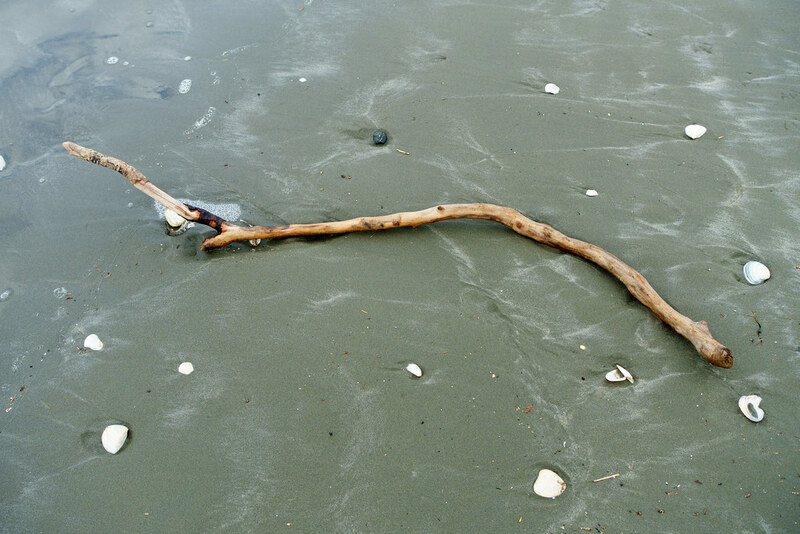 Our trip to Whakatane didn’t go as planned. We had booked two nights there purely so that we could go to White Island. However, the night before our cruise, we learned it had been cancelled due to rough seas. 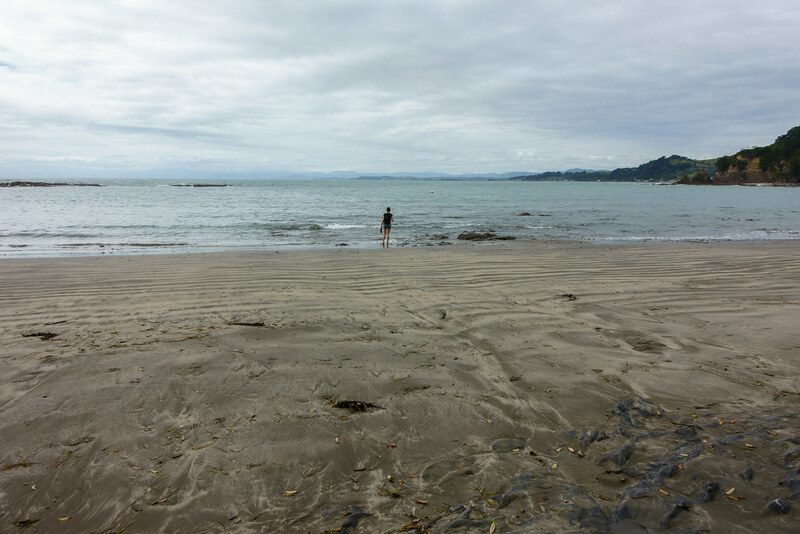 We decided instead to walk along Whakatane’s beautiful coastline to Ohope Beach, and ended up walking a lot further than we’d bargained for. 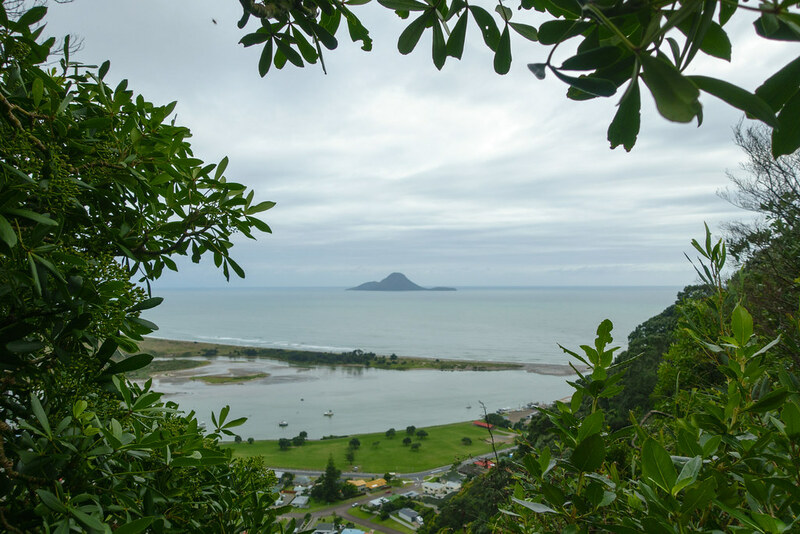 Having arrived in Whakatane on the Intercity bus, we needed only walk across the road to reach our hotel. 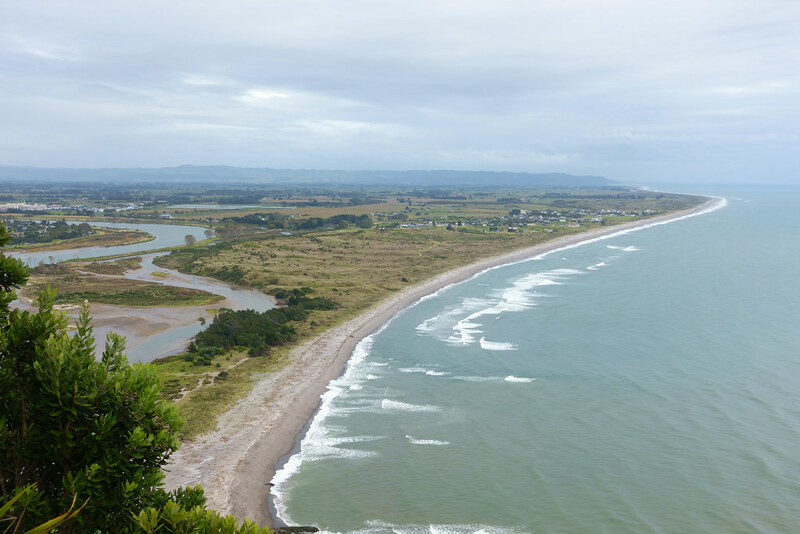 I felt a little apprehensive about Whakatane Hotel due to its location in an Irish pub, but it exceeded my expectations. 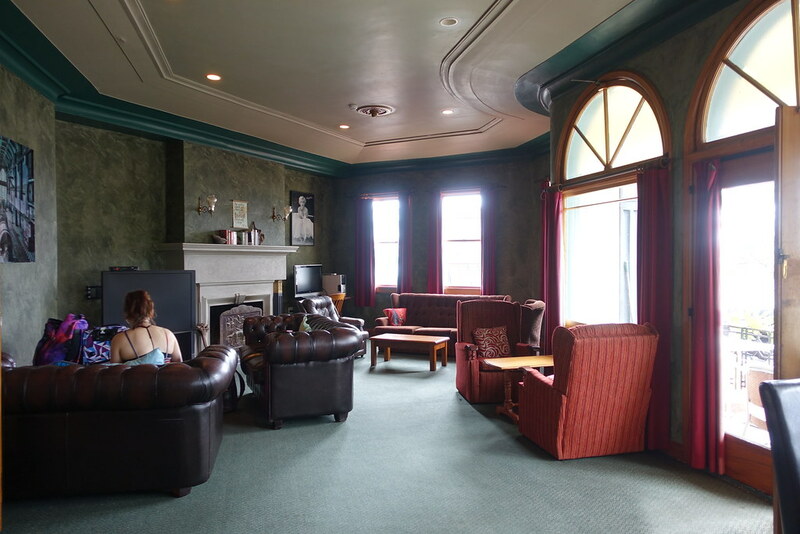 It was actually the nicest hostel we stayed in the whole trip, boasting comfortable rooms, large clean bathrooms, and a luxurious lounge and kitchen that were almost always empty. We heard barely a peep from the pub downstairs. 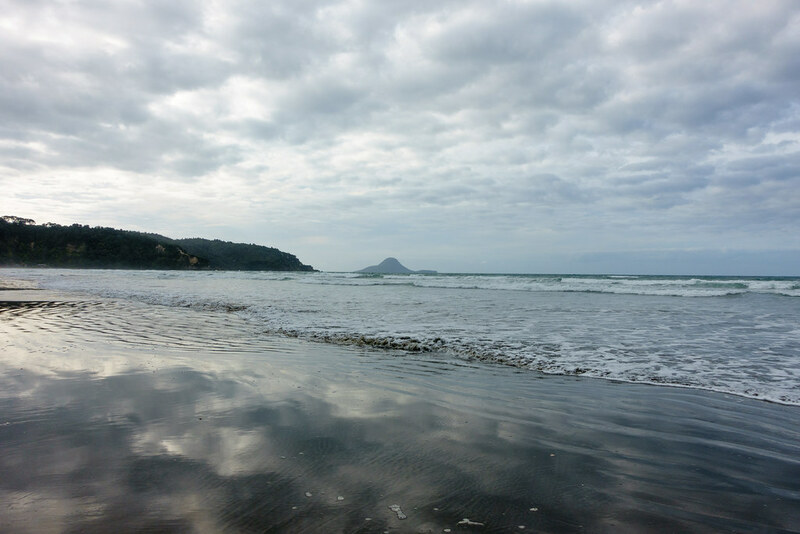 When we arrived in Whakatane it was late afternoon, and we still thought we were going to White Island the next day. 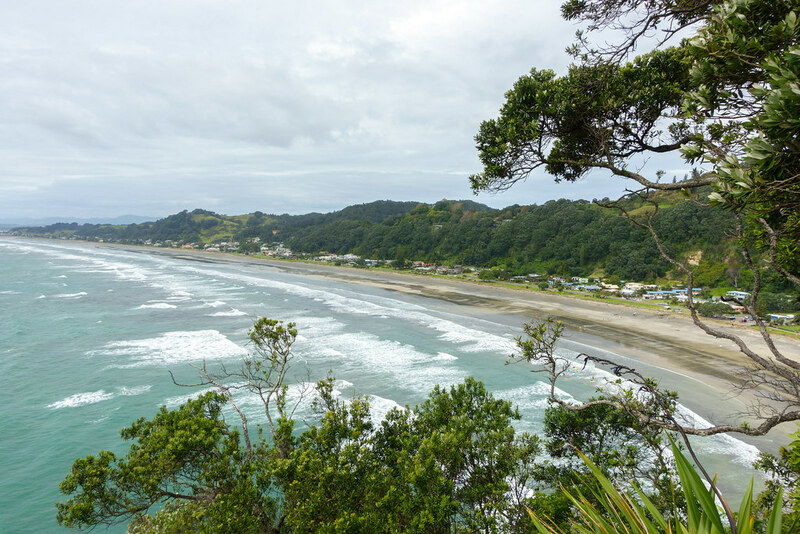 So we decided to get the last bus of the day to the nearby Ohope Beach, as we thought it would be our only chance to see it. We had dinner at the Mexican restaurant nearby called Cadera. 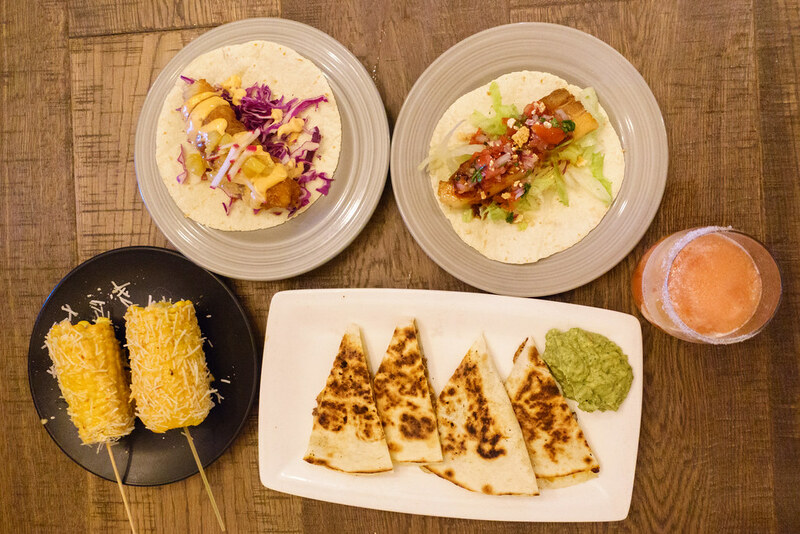 We ordered fish tacos, pork belly tacos, chorizo quesadillas, spicy cheese-coated corn cobs, and a jug of strawberry daiquiri to wash it all down. Everything was delicious and we enjoyed ourselves immensely. Unfortunately, this is when I got the phone call to tell me that our White Island trip had been cancelled. We’d have to find something else to do tomorrow. At the end of our meal we called a taxi to take us back home, and I went outside to admire the sunset while we waited. 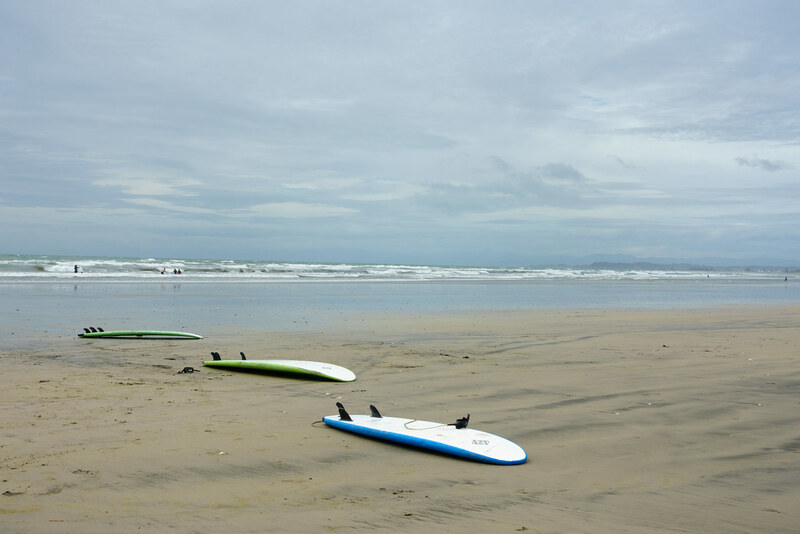 I couldn’t convince Tama to join me – thanks to her swim earlier, she was now too cold to even go outside! 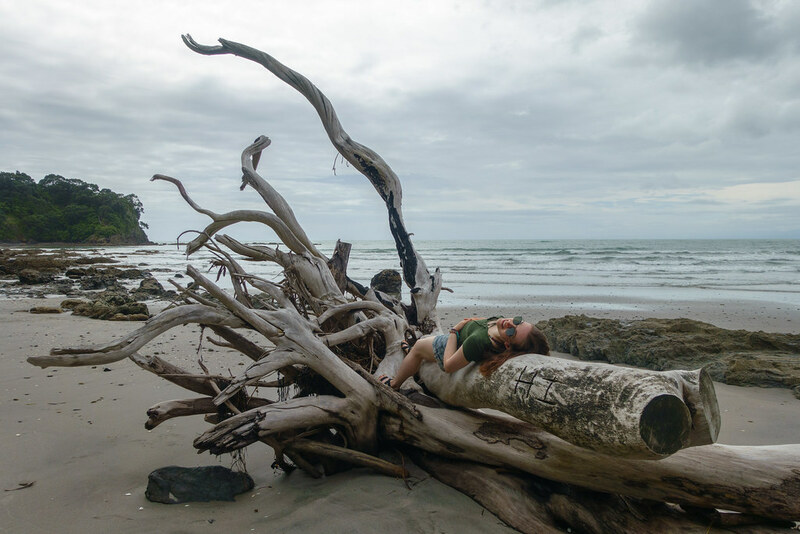 The next day we had a relaxed morning eating porridge in the leather seats of hostel lounge, before popping into the Whakatane iSite to find a map for the Kohi Point/Footprints of Toi walk to Ohope Beach. 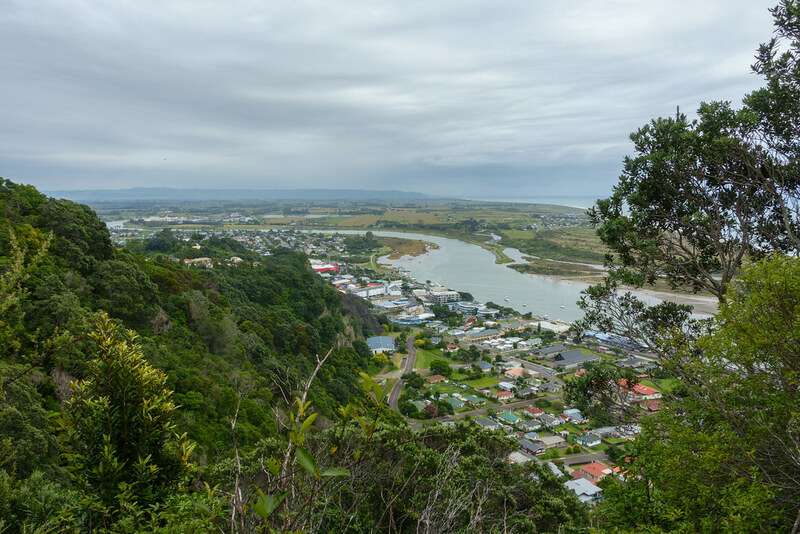 It’s a really easy walk to do, as it starts from the centre of Whakatane. 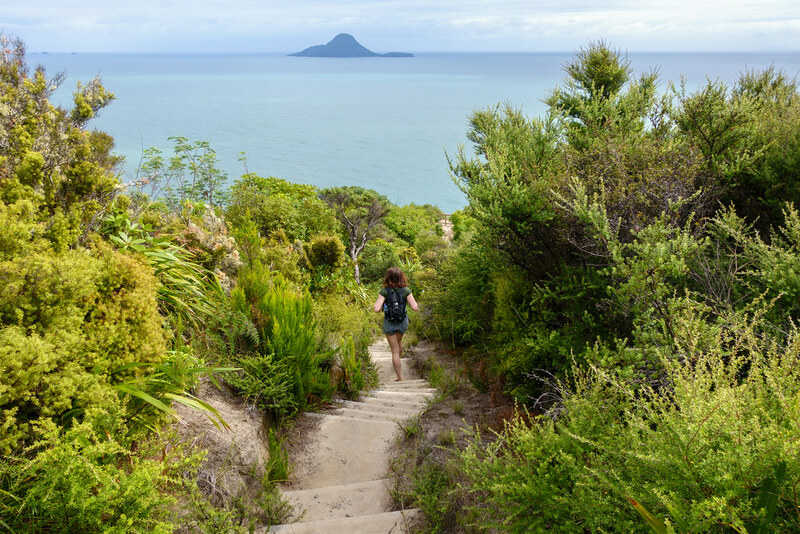 The path took us uphill through rainforest to the Kohi Point coastal headland, from which there were plenty of beautiful views out to sea. 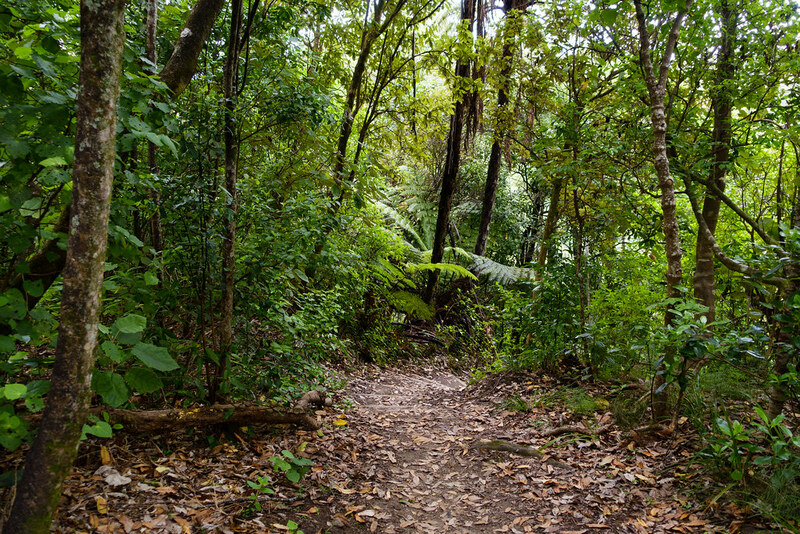 We saw, but more often heard, a variety of birds and insects and it was a really enjoyable ramble. 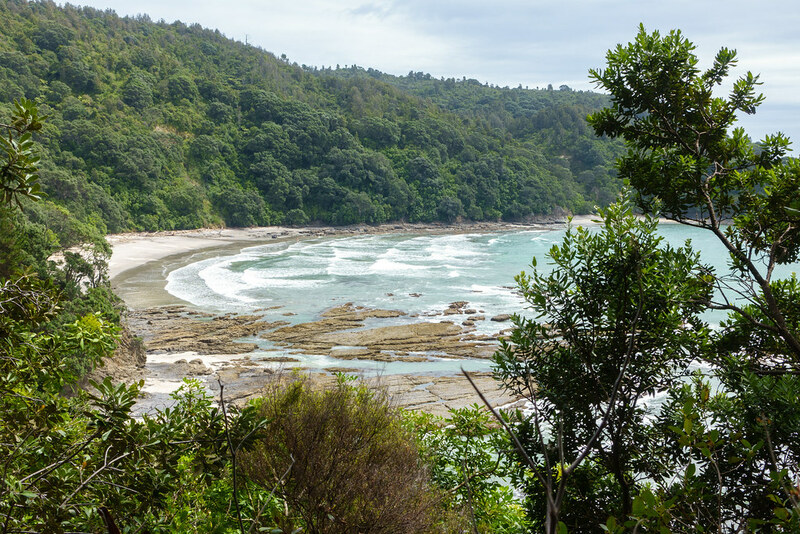 Eventually we reached the secluded Otarawairere Beach. 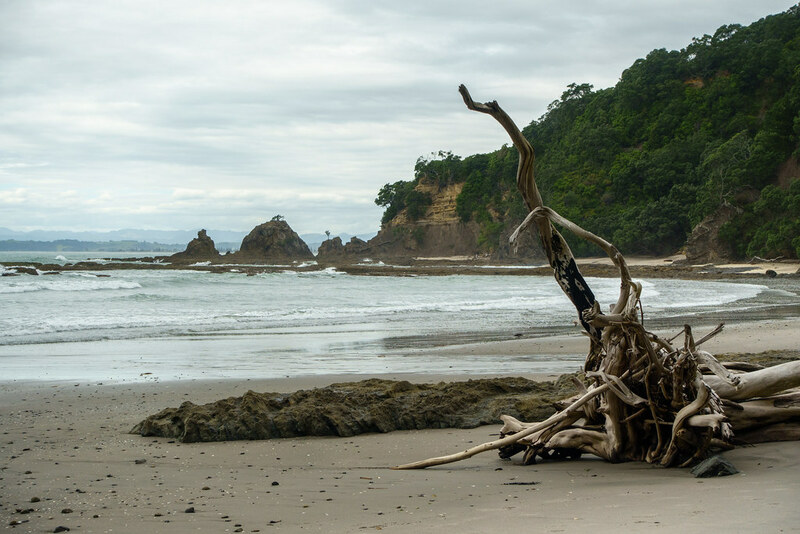 We had Otarawairere Beach completely to ourselves. 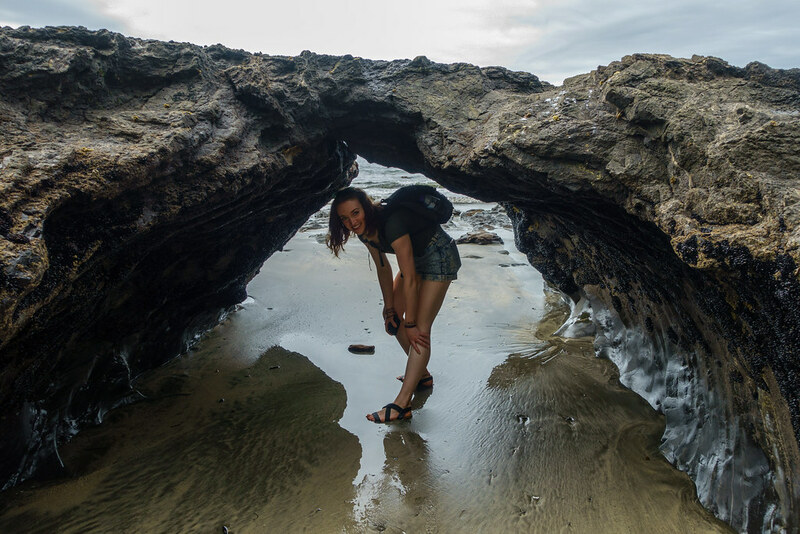 There were plenty of interesting features to photograph: among them a cave, a rock arch, and a large dead tree whose bleached, twisted boughs just begged to be photographed. We spent a fair bit of time posing on the tree before climbing back into the forest for the walk’s final stretch. 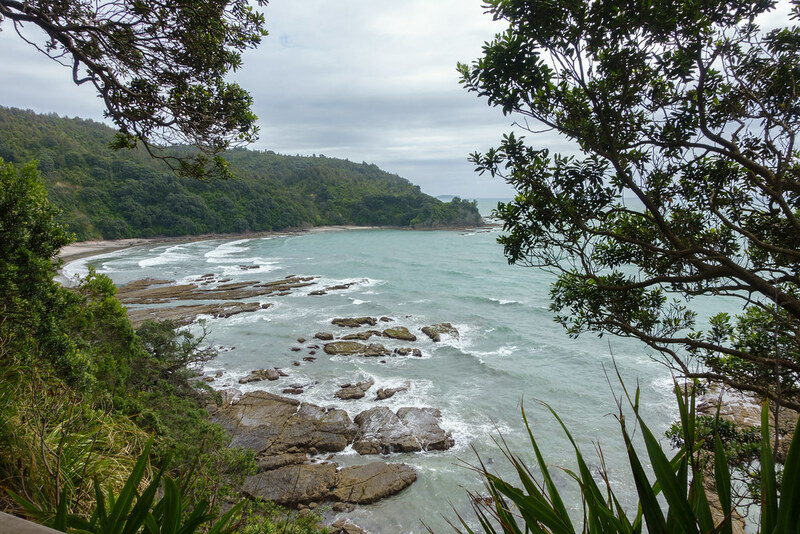 The stretch between Otarawairere and Ohope beaches was short but steep, and provided further beautiful coastal views. 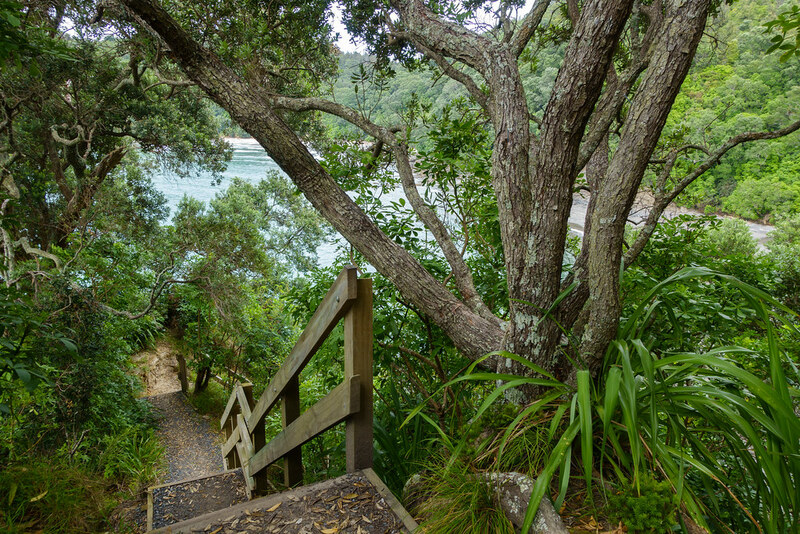 The path takes you around an angular headland, meaning you spend the first half of this section looking down at Otarawairere Beach, and the second looking down at Ohope. 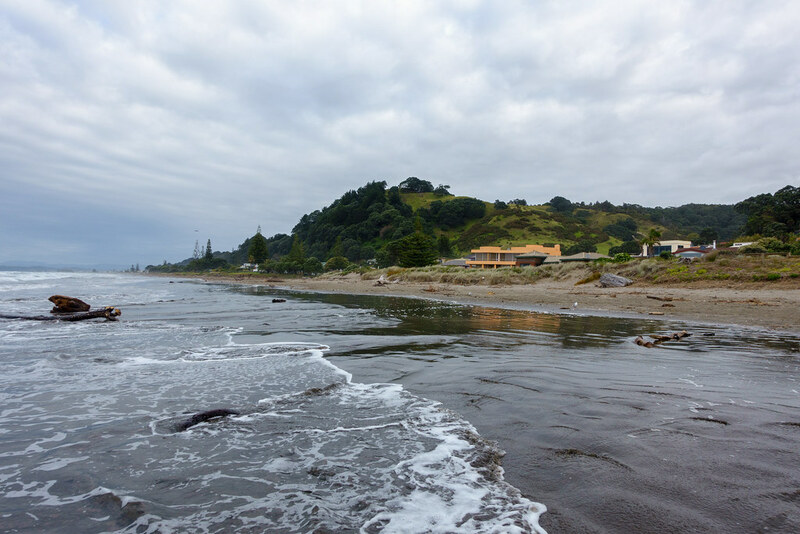 Eventually we reached Ohope Beach, starting a little further back from where we were yesterday. It was still too cold for swimming. We were hungry, but didn’t want to go back to Cadera again so soon. So we decided to walk a little further to another restaurant we’d read about called Chez Louis. We saw a Chez Louis sign from the beach and walked to it – even wading across an unsanitary-looking pool to get there – only to find that it was shut for refurbishment. 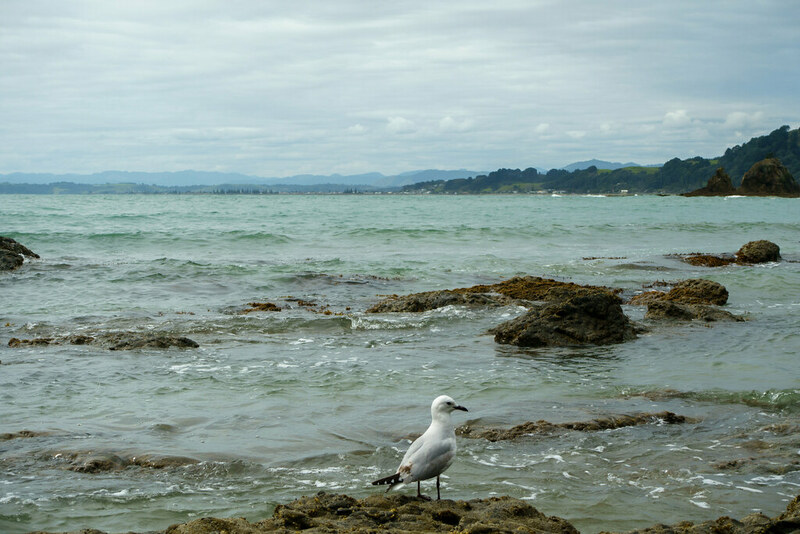 From there we had little choice but to continue to the next restaurant we knew of in Ohope, called Fisherman’s Wharf café. We decided to walk there not realising how far it was: around an hour and a half’s walk! 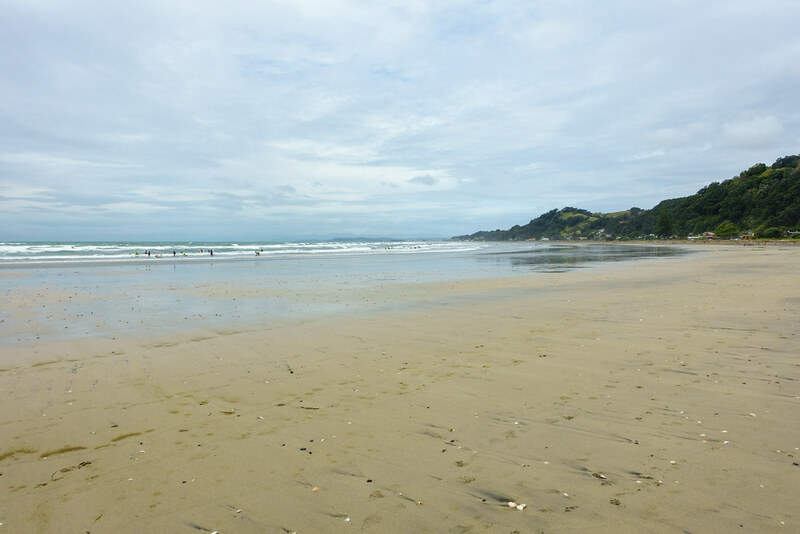 We walked along the beach most of the way, thinking it would be more enjoyable than walking down the road, but the beach was so long, flat, and empty that it became incredibly monotonous. We contemplated returning to the road and either catching the bus or trying to hitch a lift many times, but kept deciding to plod on. It felt like the longest walk of my life. We kept ourselves entertained by guessing at intervals how long we still had left to walk according to Google Maps, and being disappointed by the answer. When we finally reached Fisherman’s Wharf café, the sign on the door said it was shut until 4.30pm! We were having such bad luck that we found it almost funny. 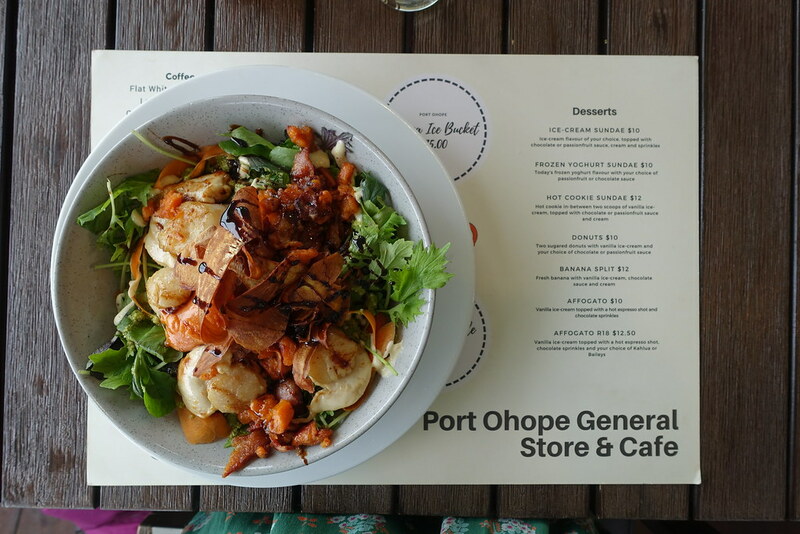 Thankfully, we’d spotted another café called Port Ohope General Store a few minutes ago so we went back there instead. Port Ohope General Store and Café was very casual, but offered some really nice food. 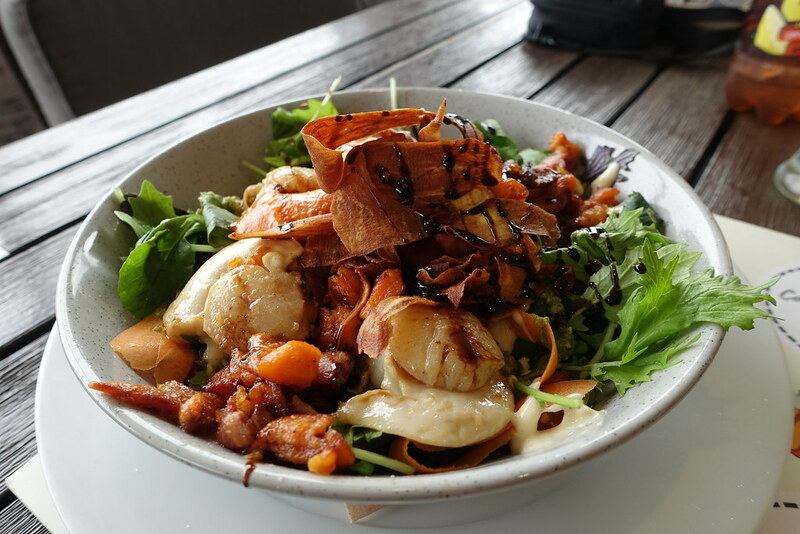 I had a colourful scallop salad and Tama had salmon. I also tried the national soft drink, L&P (standing for Lemon and Paeroa), which tasted like Sprite to me. 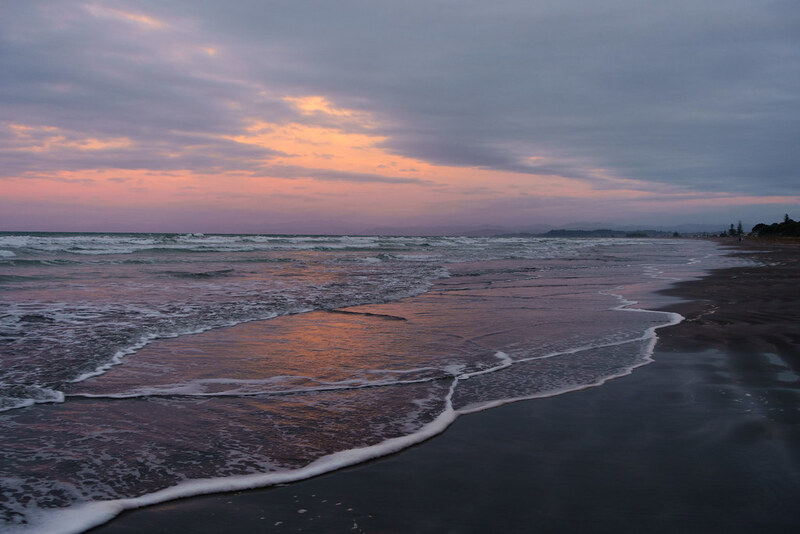 We bought white chocolate and raspberry ice creams for dessert, and at around 4.15pm we hailed down the bus back to Whakatane (this was completely thanks to our waitress, who had explained it could be hailed from the roadside). Back in Whakatane we picked up supplies from the supermarket and, on the way back to our hostel, spotted the Whakamax Movies independent cinema. We decided to come back at 8pm to see Black Panther. At 7.45pm we returned. I ordered a ham and cheese toastie and a glass of wine to serve as a light dinner, and I really appreciated how they brought them to me at my seat for no extra cost! We both thought the cinema was reasonably priced too, at $14 (around £7) for a ticket. The film was fantastic and we spent the rest of the night talking about it. 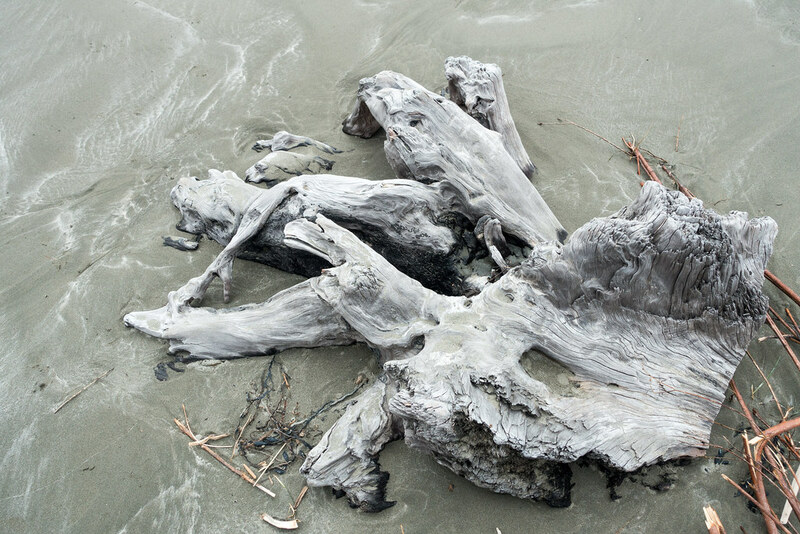 In the end, we weren’t too disappointed that we didn’t go to White Island. 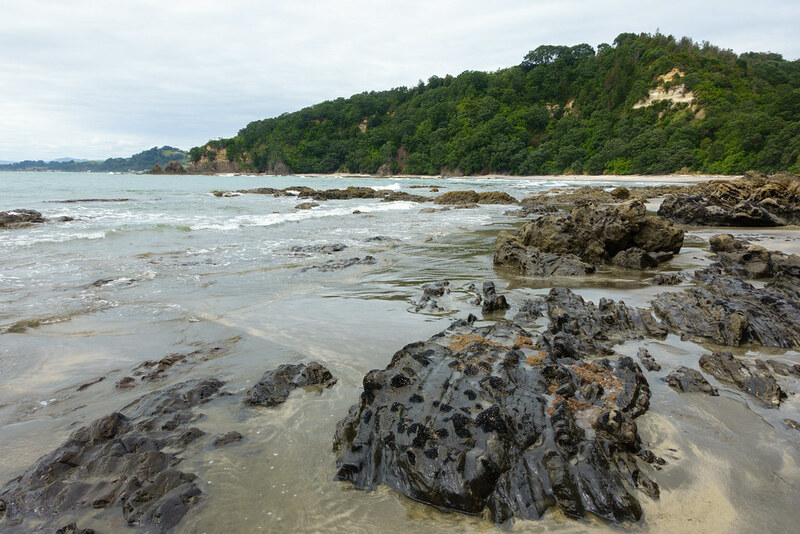 We’d already seen a lot of geothermal landscapes at this point, and it was a welcome change to see some lovely coastal scenery instead. 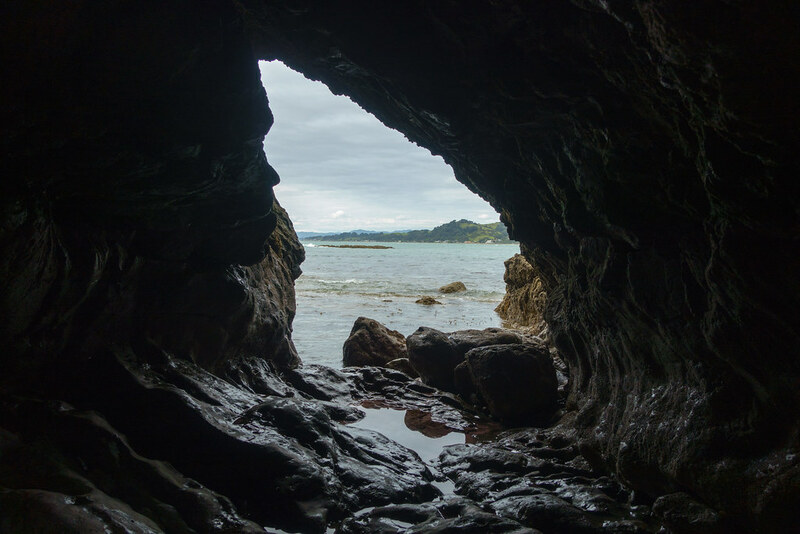 The next day we’d be heading back inland to Taupo – my final stop on our adventure. 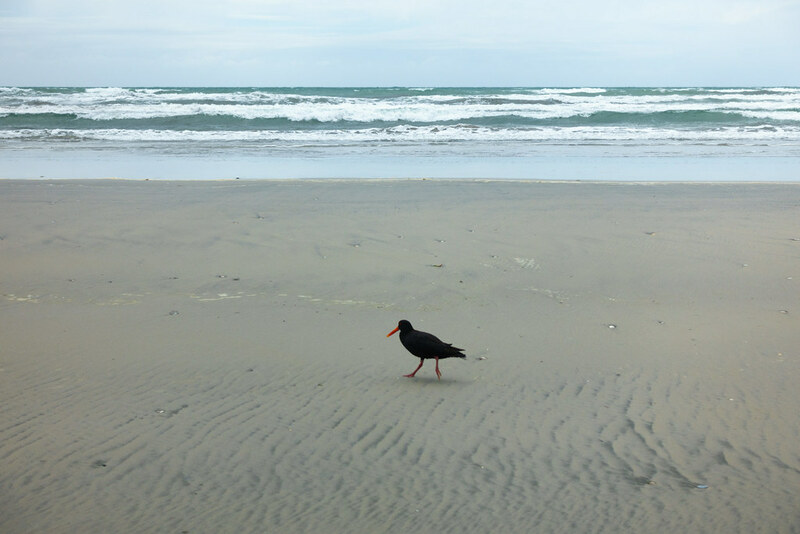 Posted in New Zealand, Photography, TravelTagged Footprints of Toi walk, Kohi Point, Ohope beach, Otarawairere Bay, WhakataneBookmark the permalink. I’d looked up the bus times in advance, but if there hadn’t been one we’d definitely have forked out for a taxi!